Specifications include, a compact, low profile design, quiet operation, positive feed/continuous operation, OSHA electrical/safety features, custom engineering and accessories. 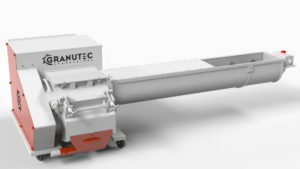 Our 66MM Auger-Matic Granulator features the shortest auger length, ideal for space conscious rooms. 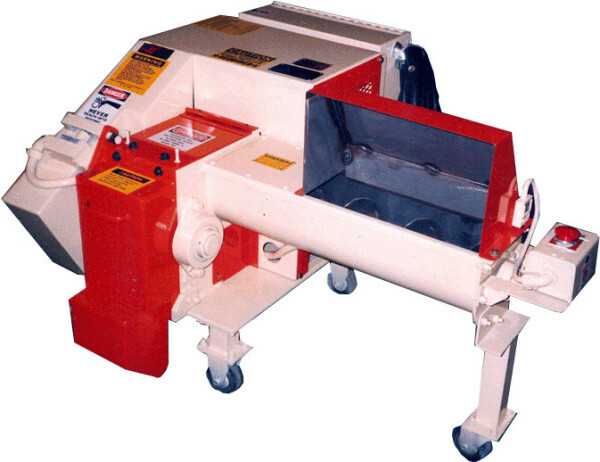 Similar to the other Auger-Matic granulators, this machine offers 2 horsepower motor, a 3 blade open rotor, 2 bed knives. and a 1/4″ screen. Complete with double scissor cutting action, a high shear mount counter angled rotor and bed knives made of D-2 hi-carbon/hi-chrome to produce clean, precise slicing action for increased throughput, knife life, and uniform granules. With a dbA of 85, the 66MM is one of the quietest granulators on the market, even without a sound enclosure! This granulator also features a tangential feed cutting chamber and auger entry that are engineered for continuous granulation without jamming or wrapping of the runners. 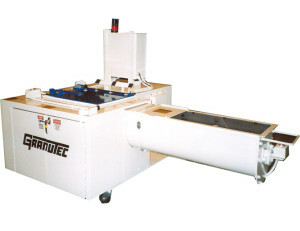 As with all Granutec equipment, they can be equipped with optional features and accessory equipment to customize the machine to meet your needs. Some of these options include, adjustable leg heights to accommodate a variety of injection presses, regrind material bins, a water cooled cutting chamber, riser blocks, and an anti-wrap bar to eliminate runner/auger wrap around of extra-hot materials.